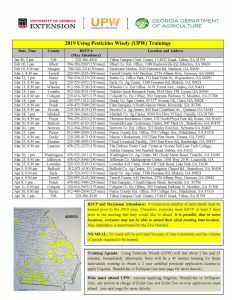 The 2019 Using Pesticides Wisely (UPW) Trainings have been scheduled around the state of Georgia. A UPW training will be held in Laurens County on March 26, 2019. 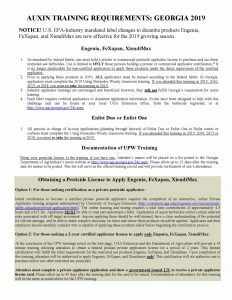 Click on the image to read more about the UPW trainings. To sign up for the Laurens County UPW training, call the UGA Extension office in Laurens County at 478-272-2277. Click image to view large image.